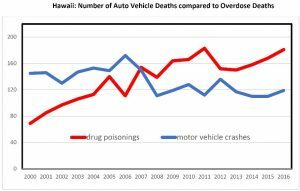 Maybe you’ve seen the headlines, “National opioid crisis kills thousands” and think it couldn’t happen here in Hawai‘i. Well, think again. Department of Health (DOH) officials are sounding the alarm now about painkiller abuse to get ahead of the problem. 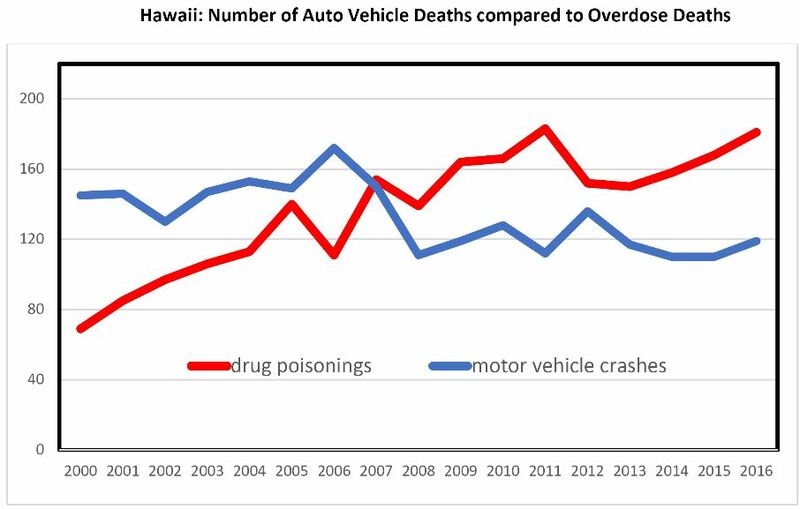 ON THE RISE: Deaths from drug overdoses now exceed those from car crashes. • Prevention and intervention – Mersereau said the state is working with doctors to include a regular patient interview question to determine if there are substance abuse risks and provide interventions. The goal is to provide early screening for substance abuse. • Expanded access to “opioid antagonists” to prevent overdoses – This involves health care professionals, first responders and social services workers who can administer drugs such as Naloxone to “reverse” opioid overdoses. The CHOW project is helping the state distribute more Naloxone kits over the next two to three years. 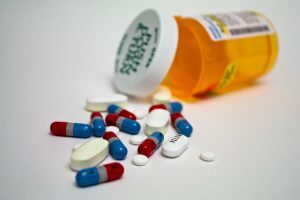 • Implementing Act 218 and Act 66 to limit the inappropriate prescribing of narcotic drugs and provide a monitoring system as part of a state controlled substances registration process. • Continuing a take-back program so patients can drop off unused medications for safe disposal instead of just throwing them in the trash. The next take-back day is set for Oct. 28 from 10 a.m. to 2 p.m. at several sites statewide. For details, go to ag.hawaii.gov.